Are you ready to embark on an adventure of a lifetime? Do you think you have what it takes to rappel down a canyon, problem solve, swim, and hike all on one fun-filled tour? While that might sound difficult and dangerous, canyoneering is a safe, family-friendly activity that is suitable for all ages and experience levels, even if you never heard of it before reading this! Southern Utah has a bevy of top spots for this niche sport, but Zion National Park canyoneering experiences are second to none. Maybe this type of adventure is not quite up your alley. No problem! Our free Vacation Guide gives you great local tips and ideas for some of the area’s best things to do, sights to see, and places to go in Southern Utah. The Zion Adventure Company provides guests with a variety of guided canyoneering trips around Zion National Park. Their guides go through an intensive training program which allows them to offer canyon adventures to guests of all ages and skill levels. Red Desert Adventure offers three different canyoneering trips for guests. The half-day adventure is four to five hours long and allows you to explore a sandstone slot canyon. The day canyon trip is a more intensive version of the half-day tour, lasting six to eight hours. The high adventure trip lasts seven to ten hours. No experience is necessary for any of these trips. Experience the full spectrum of canyoneering terrain with Zion Rock and Mountain Guides. Their canyoneering family adventure allows visitors to share these extraordinary experiences with the ones with your loved ones. If the course doesn’t quite fit your skillset, they adjust it to provide you with an unforgettable experience. Zion Guru offers four trip categories: Adventure for beginners, Elevated for athletic or experienced groups, Courses for solo canyoneers, and Discovery for a multiple day adventure. Zion Mountaineering School provides just about every kind of Southern Utah adventure. They offer four types of canyoneering tours and three different types of canyoneering courses. If you have experience canyoneering and want to go on test your skills on your own, here is a list of the top canyoneering routes to satisfy your sense of adventure. Tip: A permit is required for all technical trips through the dozens of canyons in Zion National Park. Make sure you have purchased all of the necessary safety equipment needed for your journey. 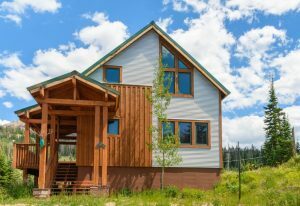 Make Family Time Vacation Rental Your Southern Utah Home! Your Zion National Park canyoneering adventure wouldn’t be complete without a comfortable and luxurious Family Time Vacation Rental. Our premium accommodations lie between Zion National Park and Bryce Canyon National Park, giving visitors access to everything that Southern Utah has to offer. Whether you’re canyoneering, riding ATVs, hiking, or attending one of the fantastic festivals in the area, a Family Time Vacation Rental is the perfect home base your vacation adventures. 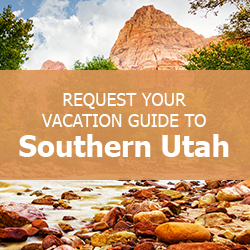 Check our availability and download your free Vacation Guide to start planning your Southern Utah trip today!